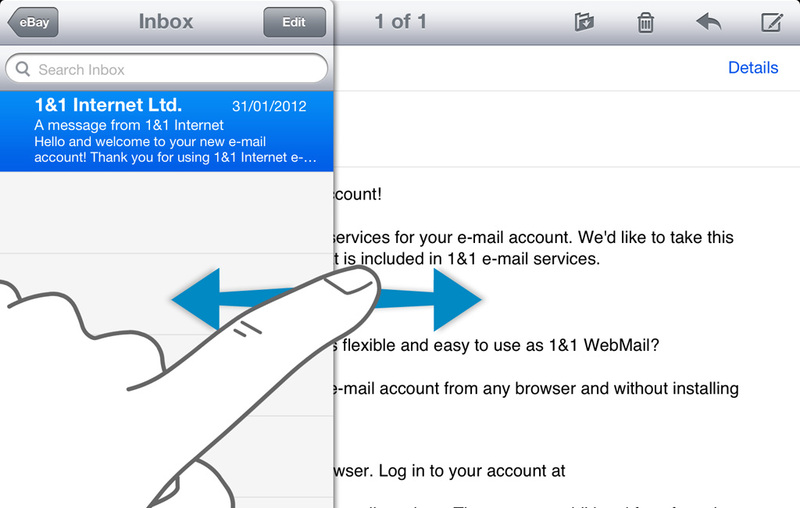 There are a number of clever features that can be used to make the most of the Mail app. For example, it’s possible to navigate your mail using your fingertips, send and save attachments, email photos, move and mark messages and more. If holding iPad in a portrait orientation, simply swipe your finger across the screen towards the right to see the Inbox folder appear. Swipe left to hide the inbox. You can also swipe across messages in the inbox, then tap delete to move them to the Trash. Image attachments can be saved by simply tapping and holding your finger on them. When the pop-up window appears, choose Save Image to save it to the Camera Roll in the Photos app. While viewing an image in the Photos app, tap the Share button and choose Email Photo. To move an image to another mailbox folder, tap the folder icon while viewing a message, then choose a folder to move the message too. 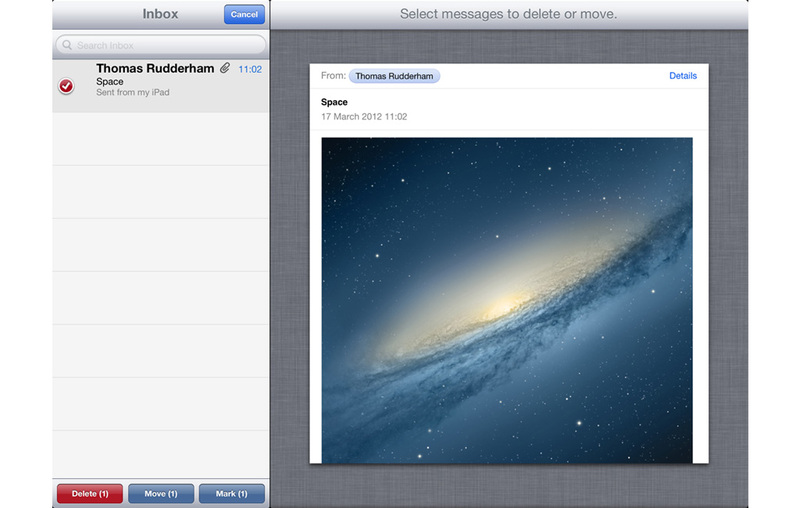 From any mailbox, tap the Edit button at the top of the screen then tap the messages you would like to select or delete. You’ll see buttons for deleting them, moving them to another mailbox or marking them with a flag. If you’ve added more than one Mail account from Settings, then you can view all inboxes on one screen by tapping the Mailboxes button at the top left corner of the screen, and choosing All Inboxes.